Release 4: from one fulcrum to the next, finding the pathological route, the path of least resistance deruunga chas mitrea – abre ojos from abre ojos on Vimeo. Release 3: and suddenly everything fails… it’s not because of who you are, draw a line between life and society – together we can make it! ne sequnda ke kasa – abre ojos from abre ojos on Vimeo. 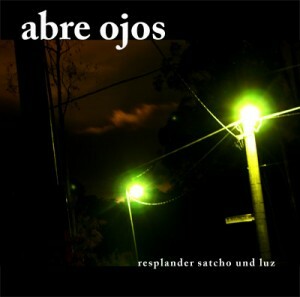 Release 2: -she would tell everyone the same story, how i had saved up $20 to take her to lunch and as i pulled it out of my pocket the wind took it and blew it away, i was only 10- soronde mi madre – abre ojos from abre ojos on Vimeo. Release 1: “literally straight way i can see the difference, it covers and hides perfectly, totally risk free” schuser kea effrunta – abre ojos from abre ojos on Vimeo.